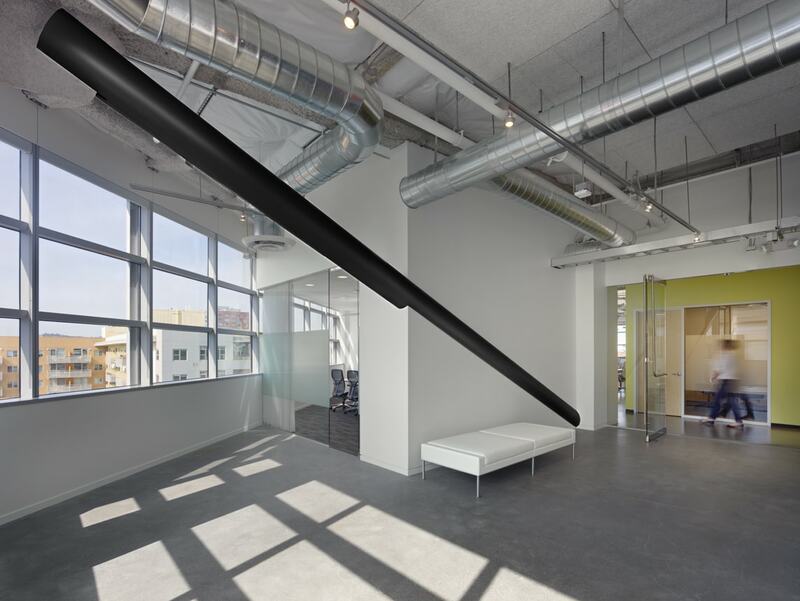 As the US Headquarters for one of the largest social gaming companies in the world, the Japanese client had a decidedly sparse aesthetic opting for a minimal color and material palette. 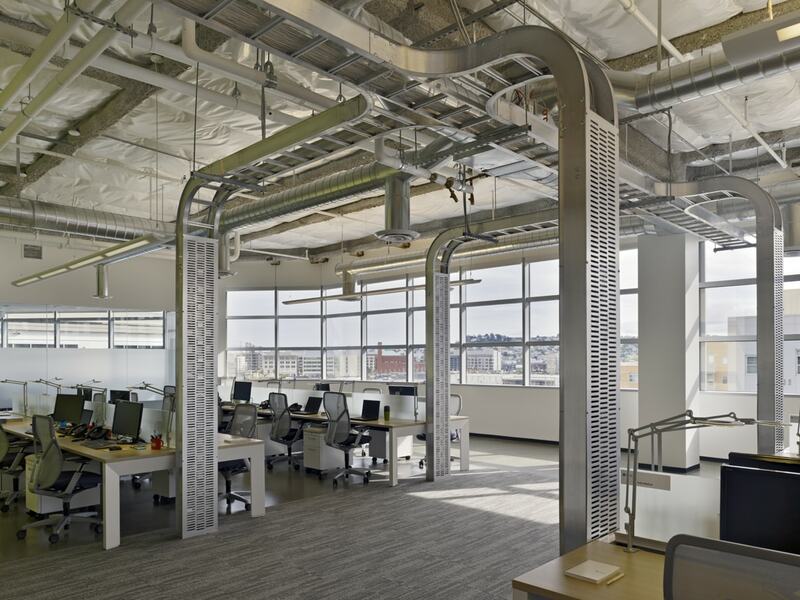 The cable tracks were used to not only carry power and signal but define the space and add a sculptural quality to an otherwise minimal design. 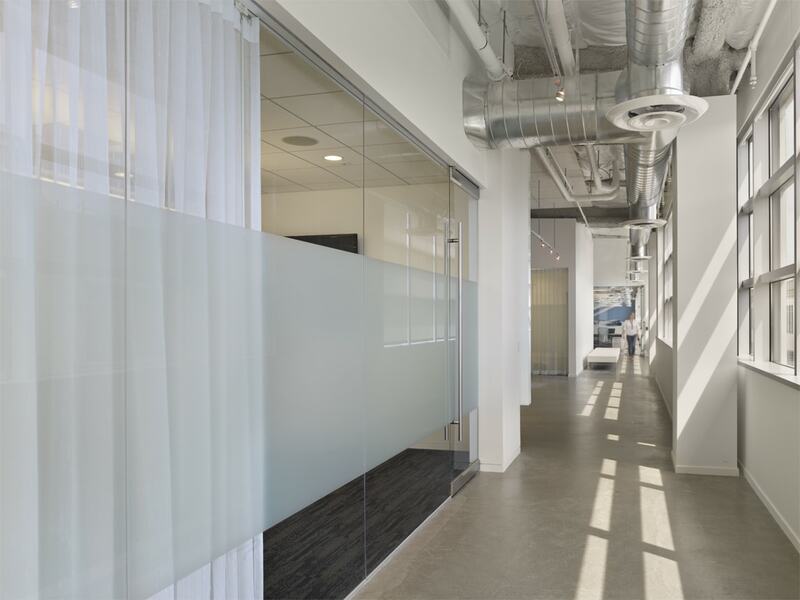 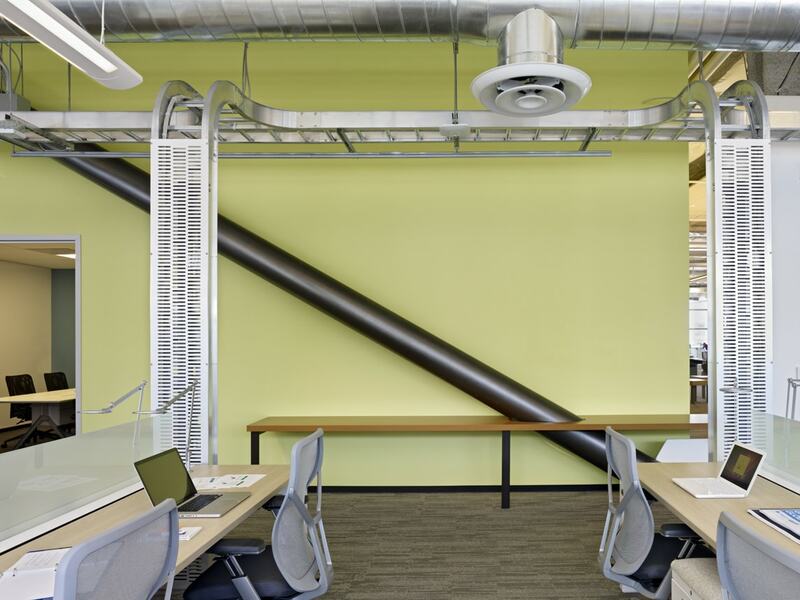 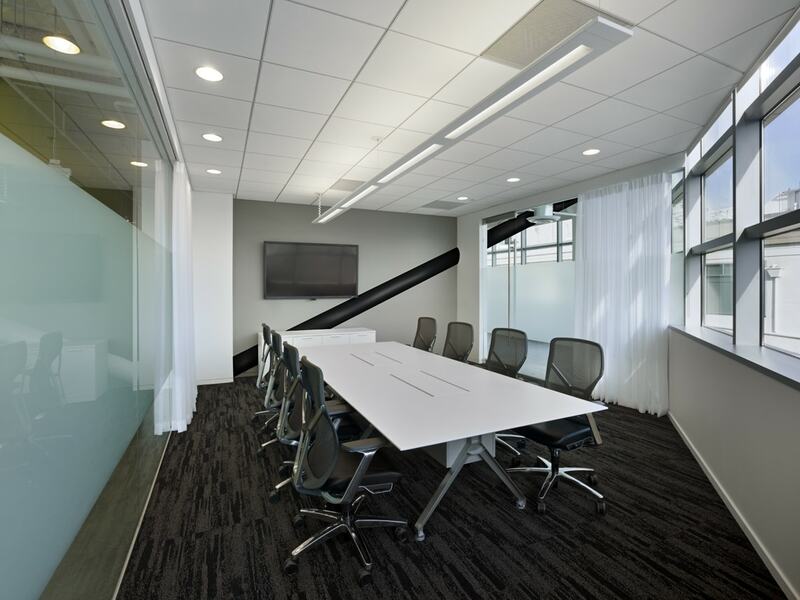 The structure diagonal bracing in the China Basin building was used as elements to space and bring interest through color and form to the workplace environment. 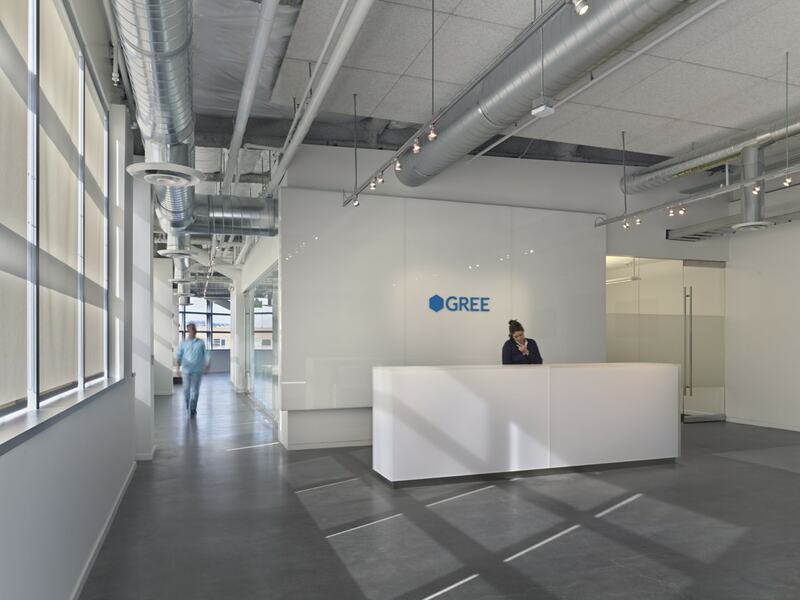 QA worked to research and skillfully ideate possibilities to communicate the authenticity and uniqueness of the GREE brand.